This morning bicycle, pedestrian, transit and business advocates celebrated the installation of 18.1 miles of City-wide bike infrastructure, including long-awaited lanes on Franklin and Webster Streets, connecting downtown’s neighborhoods. Full disclosure: I am a Board Member of Walk Oakland Bike Oakland, which sponsored the press conference in partnership with the East Bay Bicycle Coalition. By the time you read this the lanes will have been fully painted – get out and enjoy them! While Old Oakland’s Pop Up Hood is going strong, and inspiring entrepreneurs throughout Oakland despite the poor economy, Uptown is getting in on the holiday shopping action with a temporary gift fair this weekend at the Betti Ono Gallery (1804 Telegraph) across the street from the Fox Theater. The holiday shopping extravaganza with local artisans and manufacturers kicks off tonight with a party from 7 to 10pm, and continues all weekend from 11am-5pm in conjunction with the Uptown Stroll, when local bars, restaurants and shops (including EntreZ and Feelmore510) offer holiday discounts. And in the spirit of the season, a portion of the proceeds will benefit Covenant House, an organization that works with homeless youth. 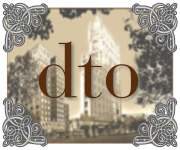 There are other great opportunities to contribute downtown. Tonight, The Uptown Nightclub (1928 Telegraph Ave) will waive its cover charge for a donation of a new, unwrapped toy to the Mayor’s Toy Drive. 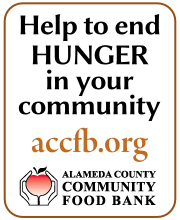 If you come downtown for business, consider bringing canned food to donate to the Alameda County Food Bank, which has donation drop-offs in the lobbies of most office buildings. The Food Bank can stretch your dollars further because of bulk purchasing, so also consider making a cash donation, which you can do online at www.accfb.org.